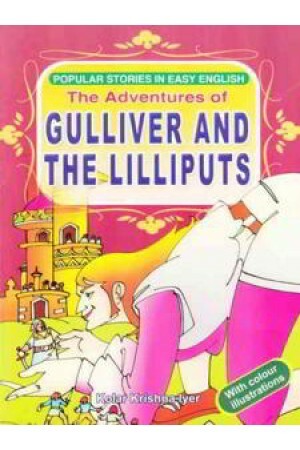 Gulliver was fond of voyages. He set sail from Bristol. While they were travelling to East India, their shiop hit a rock and was sinking. Except Gulliver all the others were drowned and lost their lives in the sea. Gulliver reached a shore. He slept for some time there. when he awoke, to his great surprise he found creature about six inches high crawling on his chin holding a bow and an arrow in his hands and legs.